During the Baroque era, St Wenceslas’ Cathedral in Olomouc was one of the most important focal points for the fostering of music in the Czech lands. Until 1777, it was the center of religious administration for all of Moravia and part of Silesia, and many of the bishops (and later archbishops) of Olomouc were important cultural figures with a love for music. It is, then, no wonder that they devoted special care to their cathedral beyond just supporting the creation of liturgical music. Musical life at the cathedral was strongly influenced not only by the bishops, but also by the local collegiate chapter – a group of clergy and other persons who were for the most part educated men with broad cultural horizons. The position of Kapellmeister at the cathedral in Olomouc was therefore one of the most prestigious musical posts in Moravia at the time. A director of the musical ensemble was primarily responsible for providing music for the daily liturgical activities, and this naturally involved not only the making of copies of new compositions, but also the composing of original works, so it should come as no surprise that we find a series of talented composers holding that position. Mostly, these are names that have been unjustly forgotten, although in their day, the Olomouc Kapellmeisters were well-known, respected musicians. 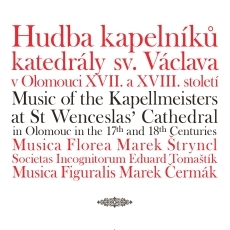 The goal of this anthology is therefore to familiarize today’s listeners with the best of the music heard at St Wenceslas’ Cathedral during the Baroque era, thereby introducing the music of the composers who shaped the musical image of not only Olomouc, but also Moravia as a whole. Compositions were chosen in an effort to present the broadest possible range of musical styles and genres with which the Olomouc Kapellmeisters were working. For this reason, not all of the works are from the realm of sacred music; some of the pieces would have been played instead in the milieu of the bishop’s castles or palaces or at private gatherings of music-loving society. Of course, another determining factor was the present state of preservation of the musical legacies of individual composers. For several of them, we know that many works that once existed must now, unfortunately, be regarded as lost. This is in fact the case with the first Olomouc Kapellmeister of the Baroque era, Philipp Jacob Rittler (ca. 1639–1690). He received his musical training from the Jesuits in Opava, where he apparently met Pavel Vejvanovský, who became his lifelong friend. From 1669 to 1673 he was working in Styria at the court of Johann Seyfried von Eggenberg, who had one of the most important music ensembles of his day in central Europe (among the musicians employed there were the violin virtuoso Heinrich Ignaz Biber and the Italian opera composer Pietro Romolo Pignatta). By 1674, however, he was back in Moravia, as is shown by the manuscript of his mass Harmonia genethliaca dedicated to Bishop Karl von Liechtenstein-Kastelcorn. 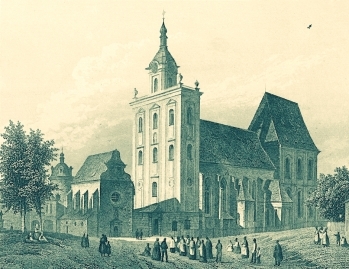 As his chaplain, the bishop recommended him in 1678 for the position of honorary vicar of the Olomouc cathedral, and that same year Rittler also became the cathedral Kapellmeister. He remained in charge of the cathedral ensemble until his death, and the records of his estate mention several noteworthy instruments, including a violin built by Steiner and a shawm, by then already a rather obsolete instrument. Forty compositions have been preserved from Rittler’s oeuvre (about a third of his output), and they are held in Kroměříž, with a single exception. The recording documents the portion of Rittler’s sacred music calling for more modest forces, mostly with five vocal lines and two concertante parts for violins and violas. Most of the compositions belong to the offertory genre, i.e. the portion of the mass liturgy with the most room for performing concertante music with the use of virtuoso passages. That Rittler must have had excellent violinists and a virtuosic bass soloist at his disposal is shown in particular by the offertories Isti sunt triumphatores and Qui sunt isti. The origins of the Marian prayer Stella caeli extirpavit seem to be tied to the plague epidemic in Vienna in 1679. The vocal compositions are supplemented by a dance suite for four parts, which was one of the most popular instrumental genres at the time. Rittler’s music is captivating for the freshness of its melodies and its surprising harmonic twists. His compositional artistry makes him worthy of a place alongside the supreme masters of Austria’s middle-Baroque period. Rittler’s successor Thomas Anton Albertini (ca. 1660–1736) was the first layman to serve as Kapellmeister at St Wenceslas’ Cathedral. He took over the post in 1691, and little is known about his previous life. In 1708 he visited Vienna, wishing to present his compositions at court. His efforts came to nothing, but he did gain the protection of Emperor Joseph I, who helped him during his frequent conflicts with the chapter. His son Reymund Albertini also had a musical career and was employed by Count Franz Anton von Rottal in Holešov and later by Leopold von Dietrichstein in Brno. The recording presents what seems to be the complete legacy of Albertini’s preserved compositions, consisting of three instrumental suites and the same number of church compositions. In Entrée à 10 from the 1690s he calls for oboes, which were not yet entirely usual at the time, giving the music an almost French sound. His Balettae honori ac venerationi were intended for the Feast of Saint Charles Borromeo, which was the name day of Bishop Liechtenstein-Kastelcorn. In his sacred vocal works, he makes effective use of an alternation between solo passages and the sound of the full ensemble. His Vidi aquam in the strict “stile antico” makes a rather archaic impression. It was preserved in Vienna, and it appears to have been one of the works that Albertini presented to the emperor. In the person of Václav Matyáš Gurecký (1705–1743), the Olomouc cathedral gained one of the most noteworthy composers of the Czech lands during the Baroque era. Born in Přerov, he was already attracting attention for his exceptional musical talent while studying at the Piarist seminary in Kroměříž. It was apparently for this reason that the Bishop of Olomouc at the time, Wolfgang Hannibal Cardinal von Schrattenbach, chose him to be a member of his court ensemble. In the 1720s and ’30s, the bishop’s court was an important center for the cultivation of Italian music, and performances of operas and oratorios were given there regularly. Surprisingly, although the bishop employed a number of musicians of Italian origin, it was to Gurecký that the position of court composer was entrusted. Schrattenbach even enabled him to study in Vienna under the most distinguished composer of the day, Antonio Caldara. He became the Olomouc Kapellmeister in 1736, but the chapter had already been holding the position in reserve for him some years earlier. He died prematurely at the age of 38 in Olomouc, and he was buried at the Church of the Assumption of the Virgin Mary in Kroměříž. Regrettably, Gurecký’s legacy as a composer, including three operas and at least four oratorios, is apparently irretrievably lost; just a few isolated items from his oeuvre have been preserved. His Missa Obligationis ex C, composed on the occasion of the enthronement of Bishop Jakob Ernst von Liechtenstein in 1740, is one of the supreme works of its kind. In it, Gurecký not only masterfully incorporates the influences of his teacher Caldara, but also adds his own original elements, such as the musical setting of the phrase Et unam sanctam catholicam et apostolicam Ecclesiam in the manner of a chorale accompanied by the full sound of the orchestra. Caldara’s influence is also strikingly apparent in the Vesperae de Dominica, although that work is much more concise and compositionally more restrained. While Václav Matyáš Gurecký was a pioneer in the field of Italian opera and oratorio (his first work in the genre – Antioco– dates from 1729, a year earlier than František Antonín Míča’s famed Jaroměřice opera), his younger brother was one of the few composers of his generation who devoted himself to instrumental music. Josef Antonín Gurecký (1709 – 1769) was also born in Přerov, and like Václav, he was employed in Cardinal Schrattenbach’s court ensemble. Soon, however, he set out into the world to gain experience, and by 1728 he was in contact with Count Václav Morzin, who had one of the leading musical ensembles in the Czech lands; the ensemble even maintained contacts with none other than Antonio Vivaldi (it was to that ensemble that the Venetian master dedicated his famous cycle of concertos titled The Four Seasons). There are also audible hints of Vivaldi in Gurecký’s works, and especially in his Cello Concerto in A Minor. 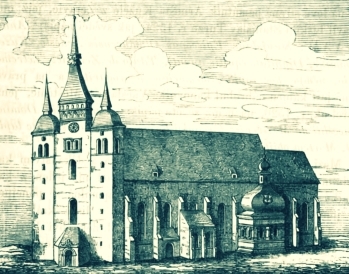 In his application for the position of Kapellmeister at the Olomouc cathedral in 1743, Josef Gurecký stated that he had served as a musician in numerous places abroad. The most important of these was the court of Count Rudolf Franz Erwein von Schönborn-Wiesentheid, where he stayed from 1735 to 1740. The count himself was an excellent cellist, and it was for him that Gurecký composed his cello concertos. Meanwhile, he was apparently trying to find work as a composer in Dresden, as is shown by the autograph manuscripts of his violin concerto and sonata from the year 1736 preserved in a music collection there. While Gurecký’s solo concertante compositions show him to be a devotee of the modern Styl galant, his Sinfonia in F Minor, intended for church, is full of daring harmonic modulations and demonstrates that he was also adept at traditional contrapuntal writing. He also composed vocal music and was, for example, the author of the now lost celebratory opera Filia Sion for the anniversary of the arrival of the Premonstratensians in Hradisko near Olomouc in 1751. Apart from a few sacred works, all that has been preserved are a few arias, in which he employs not only Latin, but also German. Like Josef Gurecký, another Olomouc Kapellmeister Anton Neumann (ca. 1730–1776) gained valuable experience in the ensembles of noblemen. From 1758 to 1763, he was a chamberlain and musician to the Olomouc bishops Egkh and Hamilton, and later he was probably briefly in the service of Bishop Kajetan Sołtyk in Krakow. He was also in contact with Prince Esterházy, for whom he composed a trio for baryton, and he made use of non-traditional instruments in other compositions, such as the tuba pastoralis heard in the Pastorelle in G. A copy of that work is kept at the Benedictine monastery in Lambach, Austria, the most important source of compositions by Neumann (more than seventy of them are still preserved there). He entered the services of the Olomouc chapter in 1769, and from the very beginning, he made a deliberate effort to promote reforms to the administration of the cathedral’s musical life. Although Neumann wrote a number of sacred works and a noteworthy German oratorio about Saint John of Nepomuk, the bulk of his compositional legacy consists of symphonies, of which he wrote more than forty. He should rightly be regarded as a pioneer of that genre in Czech music. Neumann’s symphonies, like the early Haydn symphonies, are in three movements, and they usually call for oboes and French horns as well as concertante trumpets. The Sinfonia in C with obbligato trumpets playing in the high clarino register is an excellent example of his style, characterized by surprising harmonic progressions through which he attains very effective changes of emotion. These avant-garde compositional procedures show the composer as belonging to the “Sturm und Drang” movement, which was one of the most influential artistic movements especially in German-speaking territory during the transition from the Baroque era to the Classical period. Unlike his predecessor, Josef Puschmann (1738 – 1794) was already firmly grounded in the musical language of classicism. He was born in Červená Voda, and in his youth he received good musical training from the Augustinians in Brno, with whom he would continue to maintain contacts. In the 1760s he was an important figure among the court Kapellmeisters of Silesia, first for Baron Skrbenský in Hošťálkovy and later as the Kapellmeister to the Opava territorial governor, Count Ignác Dominik Chorinský in Velké Hoštice. There, he had the opportunity to familiarize himself with operatic productions of the period and to collaborate with other musicians active in Silesia, with Karl Ditters von Dittersdorf foremost among them. He was an excellent violinist, and for his patron he composed a few dramatic vocal works, but only the libretti have been preserved, unfortunately. He became the Olomouc Kapellmeister in 1777, and one of his first important acts was performing a solemn mass and Te Deum for the enthronement of the first archbishop, Anton Theodor von Colloredo-Waldsee. Puschmann’s works encompass all of the genres of sacred and secular music. The most space on the recording is devoted to his concertante compositions for keyboard instruments (harpsichord or organ) and to his orchestral music. Gradualia solenniore is a cycle of one-movement church sonatas with a slow introductory section, and the four-movement Symphony in B Flat Major reveals a mature classical style in terms of both its form and its instrumentation. These and similar compositions were apparently heard mainly in the residence of the archbishop at concerts of the Collegium musicum, which was one of the first permanent concert institutions in the Czech lands. This set of six CDs presenting works by the individual composers was recorded during the Olomouc Baroque Festival, founded in 1998 by the composer and musicologist Tomáš Hanzlík. From the beginning, the festival has striven to give performances of music by local composers in the authentic environment of the churches and palaces in Olomouc. Its goal is to bring the baroque architectural treasures of Olomouc to life with music that was actually performed there, and as a rule the pieces are being given their modern-era world premieres. 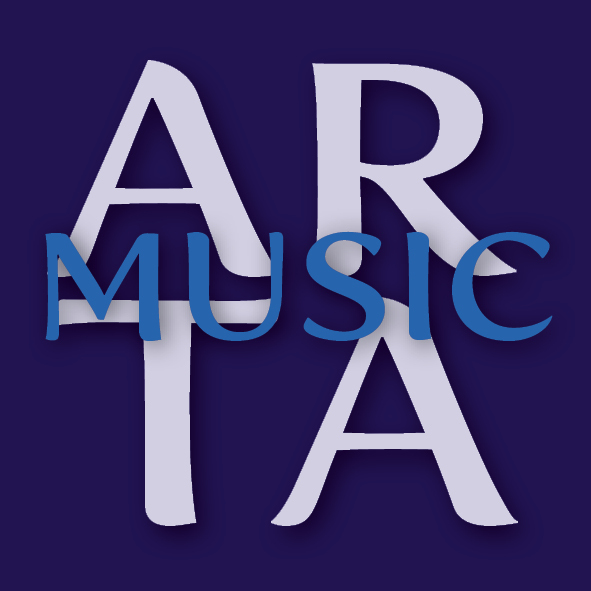 For this reason, the festival has been collaborating since its inception with musical ensembles that specialize in historically informed interpretation and innovative, revelatory programming.